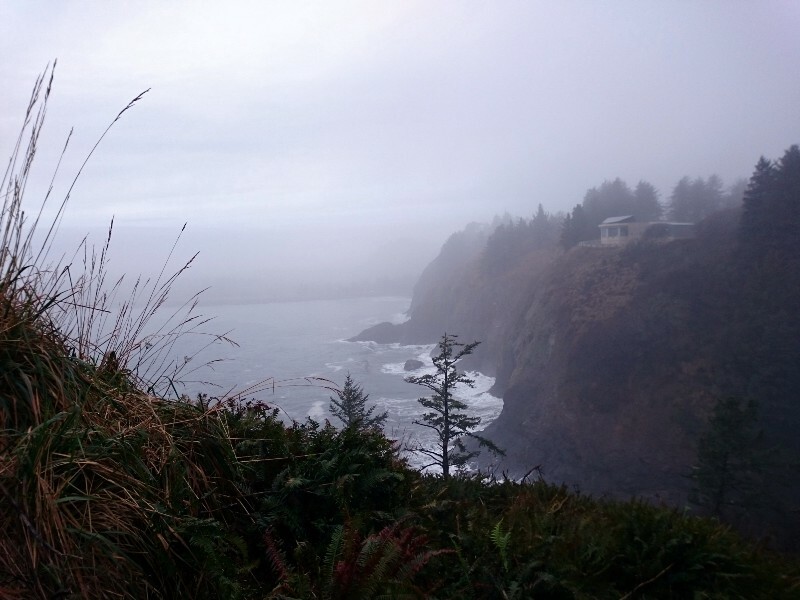 We finally arrived to Cape Disappointment State Park about an hour before sunset. We checked-in and then drove to our campsite. Only one other person in our loop, and they were in an RV — lucky them. Everything was wet all around us, the rain was still coming down. We knew we’d be soaked just from setting up the tent. The temperature was getting colder. Camping this weekend appeared to be the worst possible idea. Well, what were you going to do? I’ll tell you what we were going to do. We would drive right back to the check-in point and upgrade from a tent site to a yurt! Yes. That’s exactly what we did and it made a huge difference! We had never stayed in a yurt. It’s like a teepee made of wood and plastic, with a skylight in the center of it. It included bunk beds (bottom one was a double), a double futon, a table with two chairs, a desk, a small wall heater, a portable heater, and electricity. Most importantly, it was dry inside! 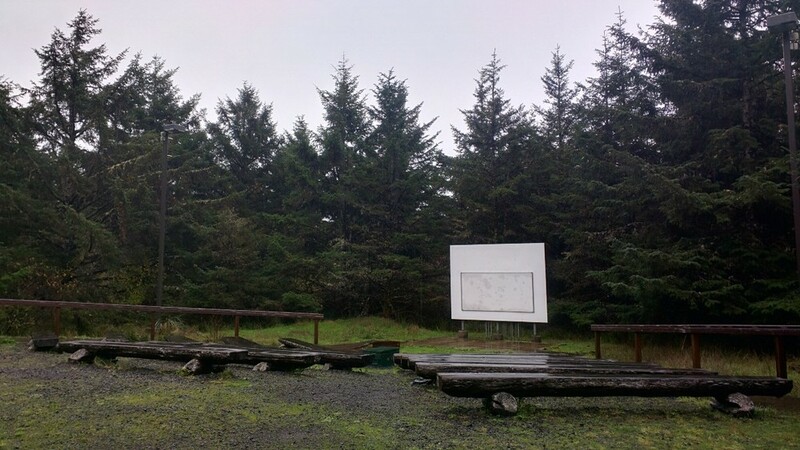 Outside was provided a picnic table, fire ring, and a water spigot at each site. A small, roofed porch area also keeps you dry if you want to relax outdoors. There were about 3–4 yurts in each camp loop, mixed in with tent sites and RV sites. The only thing missing from these was a connected restroom. Not that big of a deal though, as it was only a short walk to the nearest one. After unloading all our gear we warmed up some noodles on the porch with our stove. We ate them inside at the table and planned on what to do next. After finishing our meal, we drove over to the end of Cape D Rd and reached a parking lot. Miraculously, the rain had stopped at this point and the next 1–2 hours left of daylight were very nice. From here there are two trails. One that leads up to the Lewis & Clark Interpretive Center, along with Battery Harvey Allen. 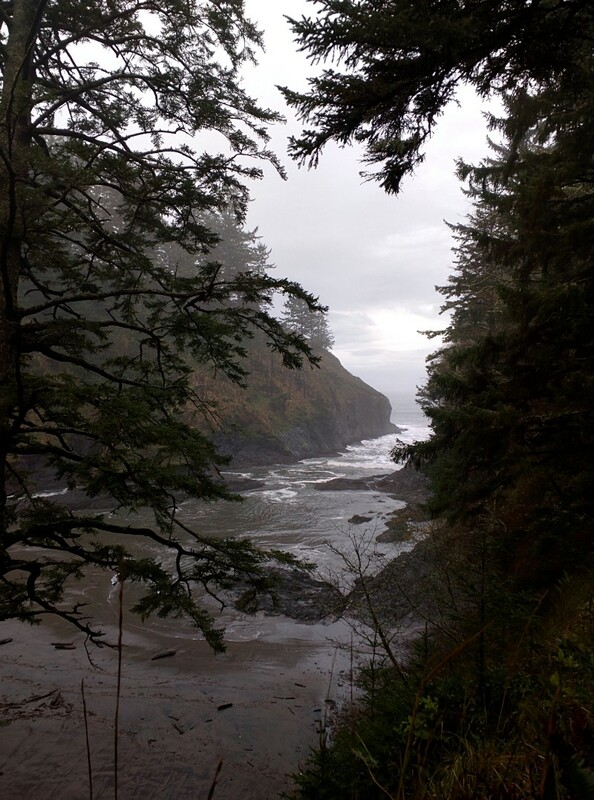 The other is Cape Disappointment Trail which leads out to the lighthouse. Last time we were here it was a beautiful day and we explored the old battery and visited the interpretive center, which was $5/person. It’s well worth it, as the center is huge and contains an enormous amount of history within it. 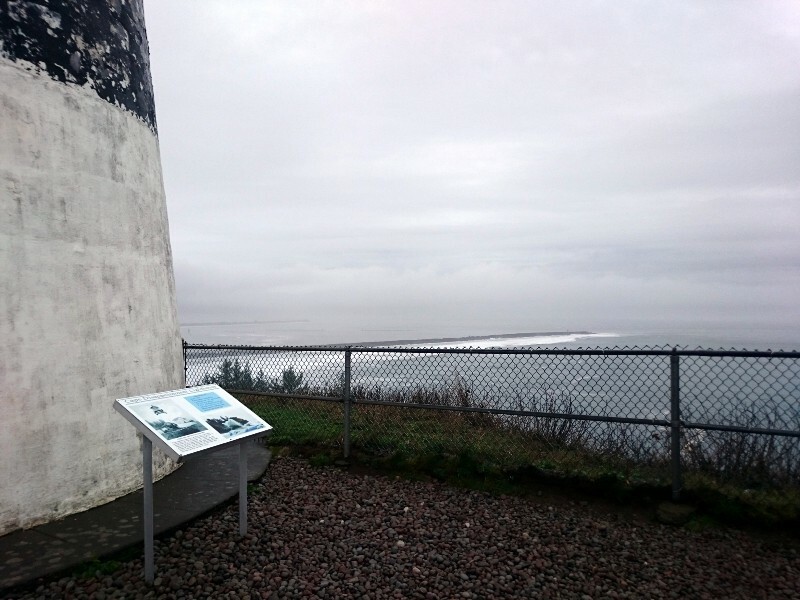 This area used to be home to Fort Cape Disappointment, later renamed Fort Canby. During this most recent visit we headed out to the lighthouse on the trail. It’s a short distance of a ¼ mile. 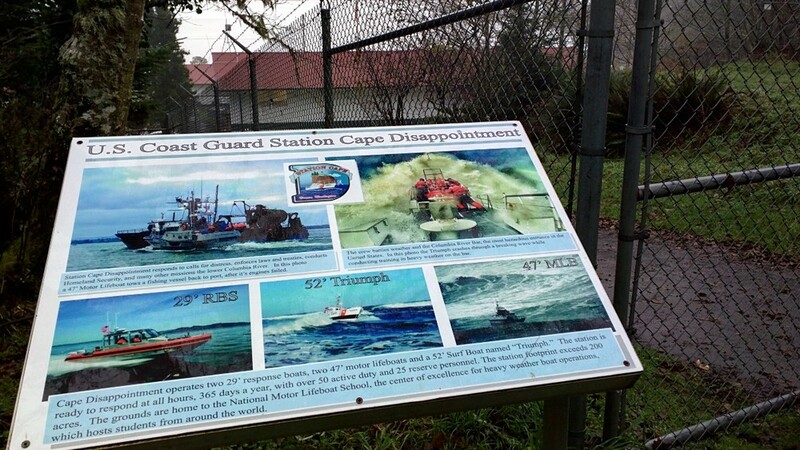 You’ll have the chance to overlook Dead Man’s Cove, pass by the U.S. Coast Guard facility, and then reach Cape Disappointment Lighthouse at the end. Plenty of chances for photos. Besides a single Coast Guard personnel, we only encountered two other people while out here. 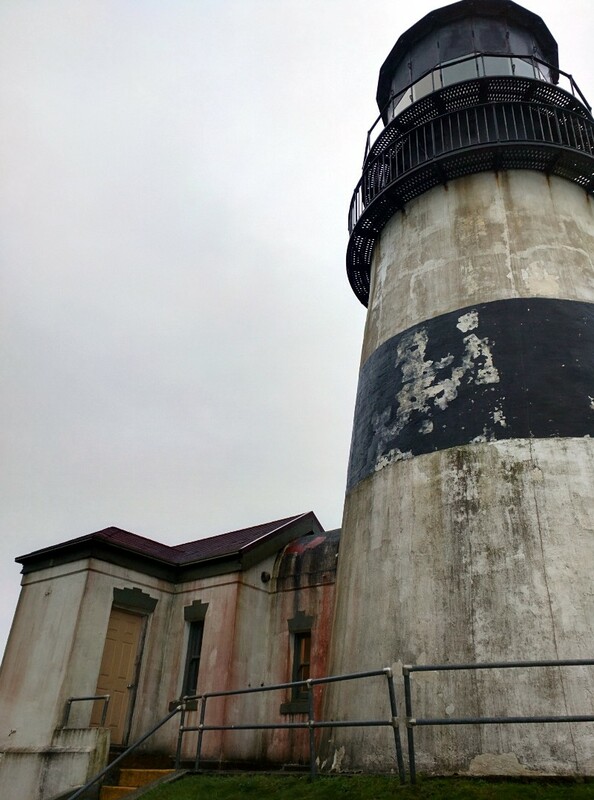 You’re not able to tour this lighthouse, but you can roam around the outside as close as you’d like. This spot provides a fantastic view of the great Pacific Ocean. We saw the clouds moving in from off in the distance and the Coast Guard person told us, “It’s going to get fun in about an hour.” That was enough for us to start heading back to the lot. We finished taking photos and began our hike back to the parking lot. It was now getting dark so we decided to head back to the yurt for the night and resume our explorations the following morning. On the way back, as the sun was setting, we came across lots of deer in all parts of the park. Our view from the yurt porch — It rained all night! Back in the yurt we were again excited to have upgraded, as it started raining shortly after our return. There was no Wi-Fi and we were unable to receive any cell service on our T-Mobile phones. Cell service was available at a few locations in the park, just not here. The park contains a local store with pizza in it, but it was closed for the season. Serious Pizza is what it’s called and during our last visit we had seriously delicious pizza. They even deliver to your campsite when they’re open! No pizza this time so we decided to warm up some beans for second dinner. The porch kept us dry from the rain. Dinner was quick to make and easy to clean up. We cuddled up on the lower bunk bed, took out the computer, and started working on last week’s post, “Hiking the Green Lake Trail”. These things don’t write themselves and this was a great opportunity to knock it out while not having the interruptions of the Internet. From the yurt we could hear the rhythmic ocean waves off in the distance. The rain drops falling on the plastic roof was also comforting. Around 10 P.M. the drops turned to poundings and it was really coming down. It continued like that all through the night until the early morning. We did have to get up a few times during the night to use the restroom, which was a short walk away. Again, we were very happy to return to the yurt rather than a tent since we got pretty wet just on the short walk to the restroom. Check-out time was at 11 A.M. but we were up and ready by 7. We loaded up the Jeep then drove over to the main camping area parking lot. From here there was a trail that lead out to the ocean. The rain was back to a sprinkle as we began our walk. Benson Beach is where we ended. 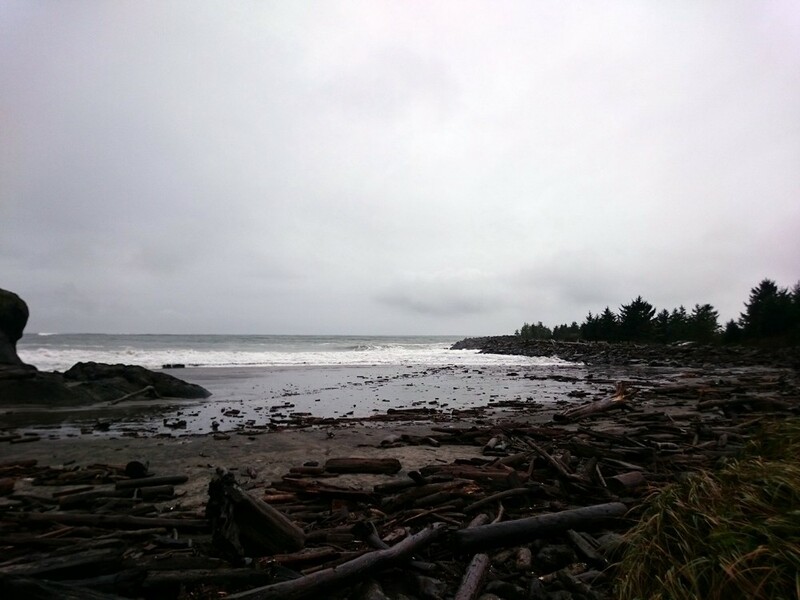 Plenty of washed up logs and soapy sea foam bubbles. We walked around a bit, took some photos, and headed back. Driving out of the main campgrounds we came across some monumental markers. We stopped and found McKenzie Head Trail which parallels a same named lagoon. You can see this lagoon on the left side of the trail and view it at different points. The trail was a ¼ mile in distance. This one was heading up and a bit steep. Towards the top, off to the right we saw an abandoned building. We made our way through the brush to investigate. 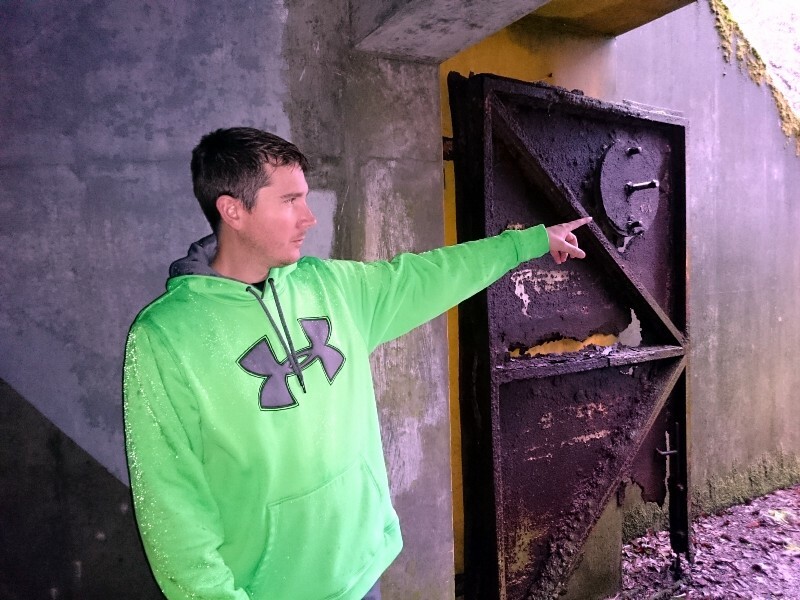 Once arriving to the top of the trail we saw enormous gun placement holes which were used to guard the entrance of the Columbia River. There’s also a large structure with various rooms and halls you walk through. There is no lighting here, it’s dark inside and is larger than it appears outside. 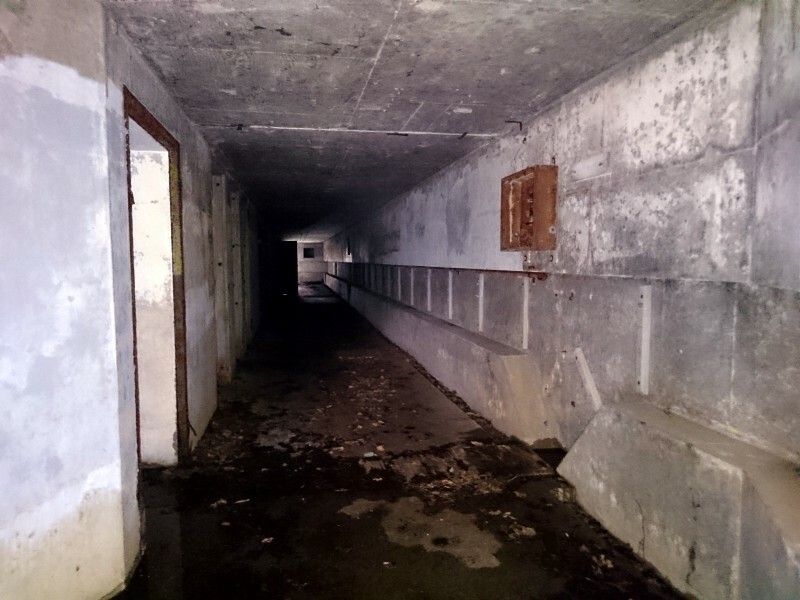 It was eerie, but begged to be explored. On the other side is another gun platform. There’s signage at both ends with some history of the area. This was Battery 247. Again, great views looking out towards the ocean from here. Search around enough and you’ll find a marker in the ground indicating the peak of this hill. Once back at the bottom the trail does continue on the other side of the road. 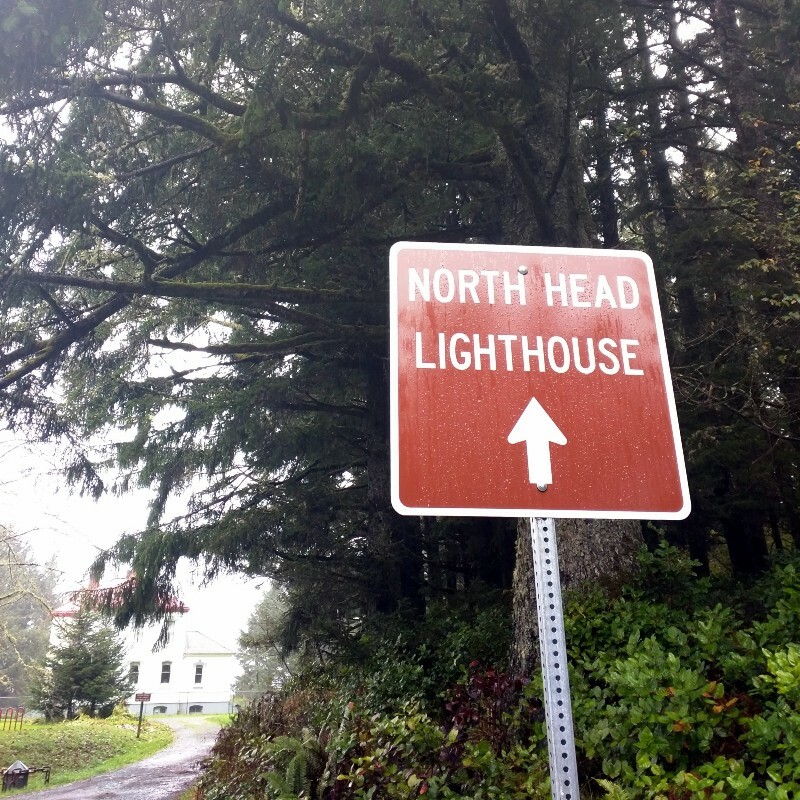 Here it’s called North Head Trail and leads to the North Head Lighthouse. This trail is about 1.5 miles long. We wanted to do this but the weather was again becoming worse with heavier rains and we were starting to run short on time. Now we drove out to Waikiki Beach. There was a parking lot near the restrooms and we took a sidewalk out toward the beach. Last time we were here the tide was further out, it was sunny and warm, and there were a lot of people on the beach and in the water surfing. Today, no one was out on the beach. Too cold and the tide was all the way in with crashing waves. We took a few photos here and then moved on to the better photo spot. Drive about 100–200 ft further down the main road and there’s another parking lot on your left. From here you can see the coast from the beach all the way down to the lighthouse. This is a great spot to watch the waves crash against the rocky bluff. Since a storm was rolling in, the waves were of impressive size and spectacular as they exploded against the cliffs. We spent some time here taking photos and shooting video. We were soon joined by several others taking photos and video of the angry ocean. Now we took N Head Rd to N Head Lighthouse Rd and parked at the end. This is where the previously mentioned North Head Trail leads to. From the parking lot we first walked down Bell’s View Trail. 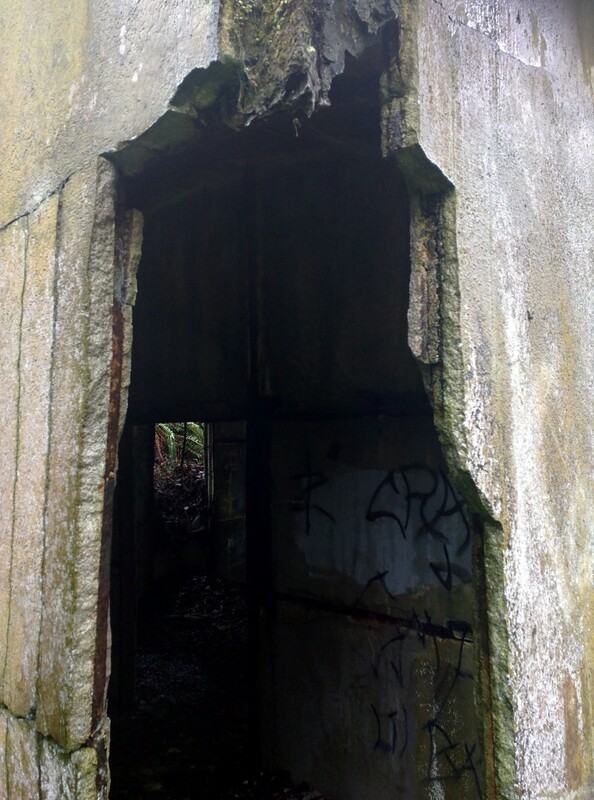 Along it we came across interesting stuff: old ruins, a water tower, and more. At the end is a wonderful viewing platform that overlooks the Beards Hollow and the ocean. The rain was getting worse so we hurried back to the parking lot and from there headed on the trail to the lighthouse. It’s a little over a ¼ mile. Depending on which way you go, you may pass right through the Lighthouse Keeper’s quarters. 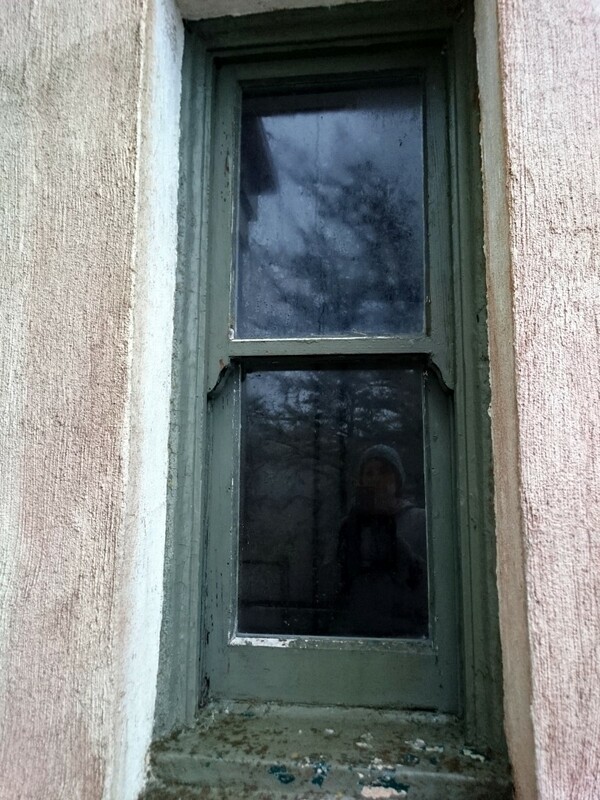 This is where the keepers of the lighthouse stayed. Now that the lighthouse is automated they’re no longer needed and the place has been converted into rooms for visitors to stay the night. Once out at the lighthouse you’ll again have magnificent views of the ocean and Benson Beach. This is probably the best views from the park right here. 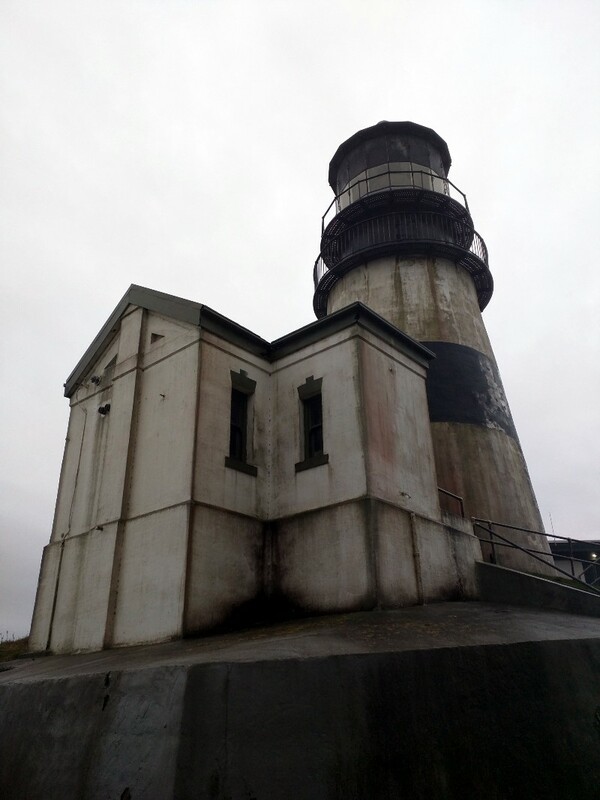 The lighthouse is currently being worked on until 2017. Otherwise you’d be able to take a tour of it. Now we headed back out on the main road and made a left into a viewpoint parking lot. We would recommend you stop here on the way into the park as you’re only allowed to turn right after leaving. The area had more great views of the ocean and the Discovery Trail below, as well as signage of history. That was the end of this particular adventure. We drove out of the park and headed north on 101. You may want to stop for gas in the small town just north of Ilwaco. 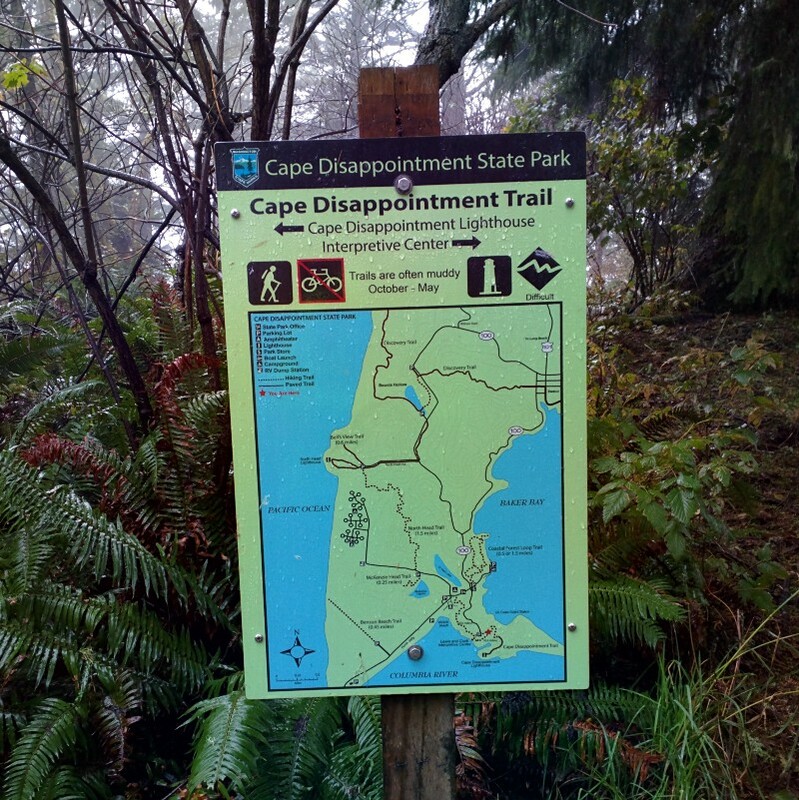 Cape Disappointment is a misnomer. This place never disappoints. Despite the rainy, windy weather this is still an amazingly beautiful spot. 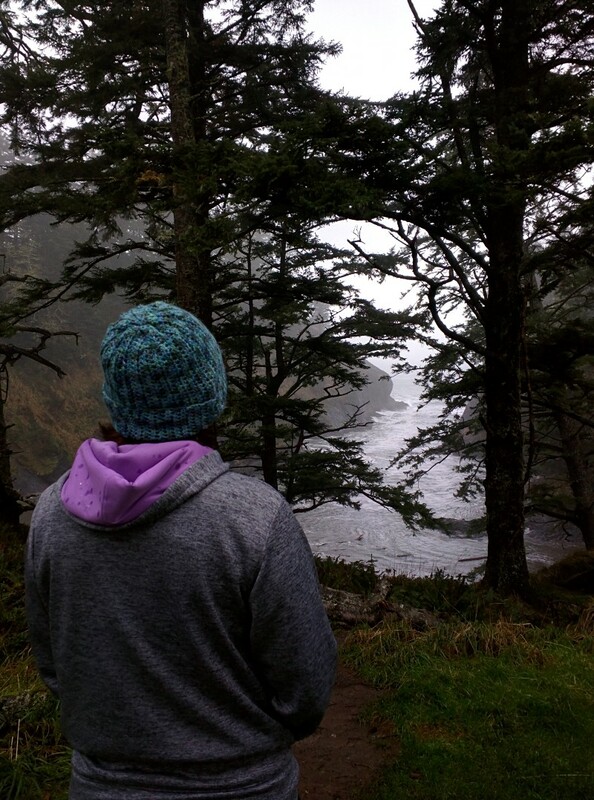 The sound of the ocean and its mesmerizing power has inspired authors, singers, and writers. Gazing out on an endless expanse of blue has a soothing effect. History is alive here. 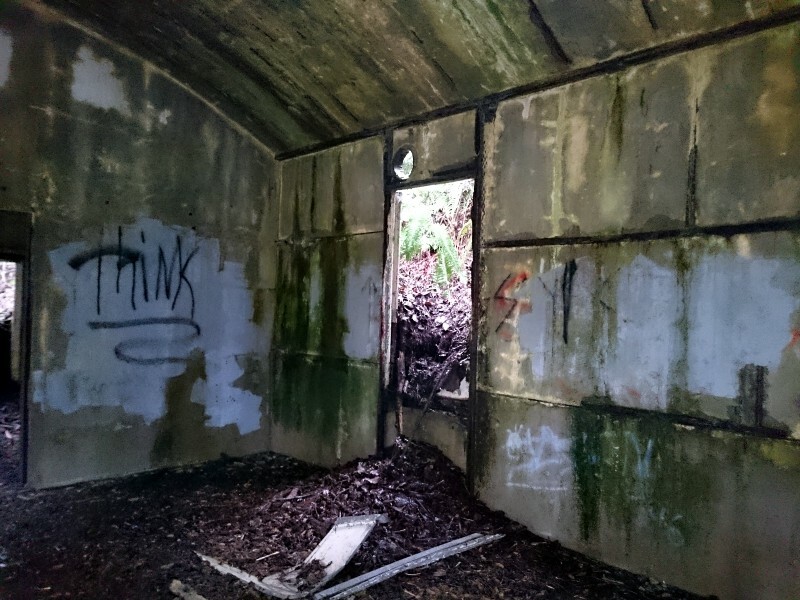 Roam the old ruins and batteries, they have a lonely eerie quality that lures you in. 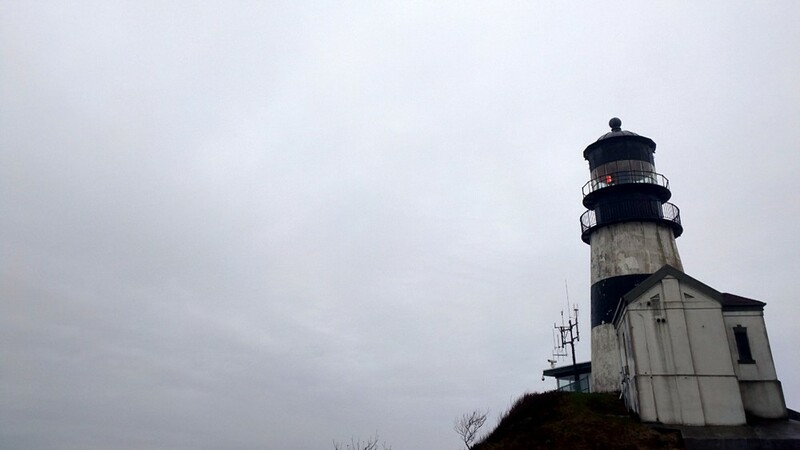 The lighthouses, while old, are still beacons of safety. 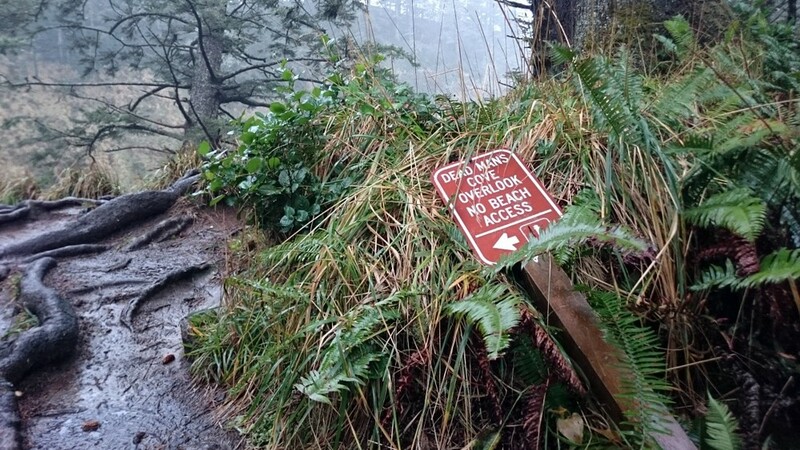 The trails here are all very well maintained. Sitka Spruce tower overhead and the damp green moss blankets most everything. Lots to do and see here. If you’re a lover of the water, you’ll be right at home. Please see the rest of our sunny photos from our May 2015 visit here.